Everyday I obsessively enter my impending departure date into a duration calculator, but strangely the “days remaining until I arrive in Italy” number never seems to decrease. 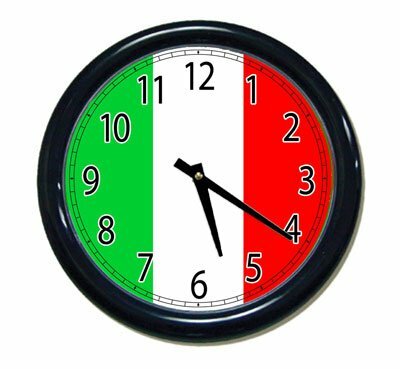 Time is not just dragging, it has come to a screeching halt and I’ve begun to wonder if my new life in Orvieto will ever begin? I fear I could be trapped in some kind of weird vortex or bizarre Italian space-time continuum! Unfortunately like a pot, a watched country never boils. Soon you and your suitcase will be souring through the skies to your beloved Italia! Do a countdown backwards to when you first decided to live in Orvieto and you will realize 2 things…..60 days is not that long and look how far you’ve come to the realization of a dream. So many people have dreams but you’ve made your dream a goal, one that will soon be realized. I, and I am sure many others, are SO PROUD of you! You will be here before you know it. You will be here before Christmas then, try and think of it like that! Toni~ how exciting – in JUST 60 days! you will look back and wonder where the time went. I look forward to my trip in November & will be in touch! I suppose it does not help you to know I will be there on Saturday (but only for 4 days)!